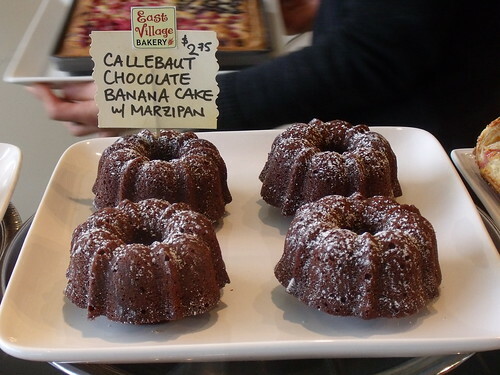 I’m fascinated by local, Mom-and-Pop kind of shops, and the East Village Bakery isn’t an exception. 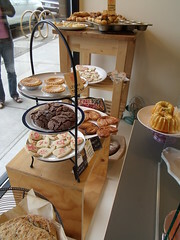 What I find exceptional is the quality of service, the freshness of their baked goods and the friendliness of its owners. 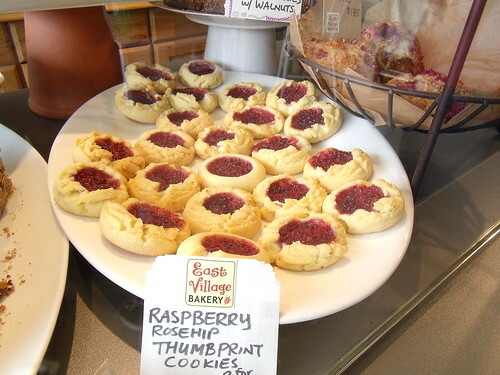 Located in the Hastings Sunrise (East Hastings and near Nanaimo) area, East Village Bakery is a fantastic demonstration of how you can have a small business and thrive. The smell of freshly baked goodies was what attracted me and Jason first (we had *just* had brunch, but we couldn’t resist!). I ordered a Pain du Chocolat ($1.95) for myself and I wanted to bring Minna some baked goodies too so I ordered the Callebaut. 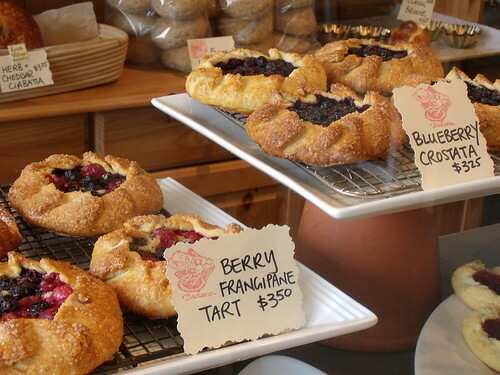 You should totally check out this gorgeous bakery and chat with the extremely friendly owners, and make an effort to walk around the area because it’s a pretty neat urban sector.